Last night I decided to do a quick little “battle of the bokeh” type test with the Canon 35mm 1.4 L series lens & the 28mm 1.8 prime. Given the prices difference in these lenses (35L – $1,479.00 vs 28mm $509.00) I can’t say I’d recommend springing for the L, unless your eyes can’t see anything else but the bokeh (which I get haha). Images are straight out of camera and I put the collage frame together with the Moldiv app on my iPhone, hence the shabby quality when viewed large haha. In any case I think you get the idea ;). If enough people want me to do a proper test between these 2 lenses I will, otherwise this will do the trick (it did it for me). This entry was posted in Equipment, Gear and tagged 100, 28mm, 35L, 35mm, 6D, battle, Bokeh, ektar, Ektar 100, lens, prime, vs. Bookmark the permalink. Likewise 🙂 Right back at ya ;). 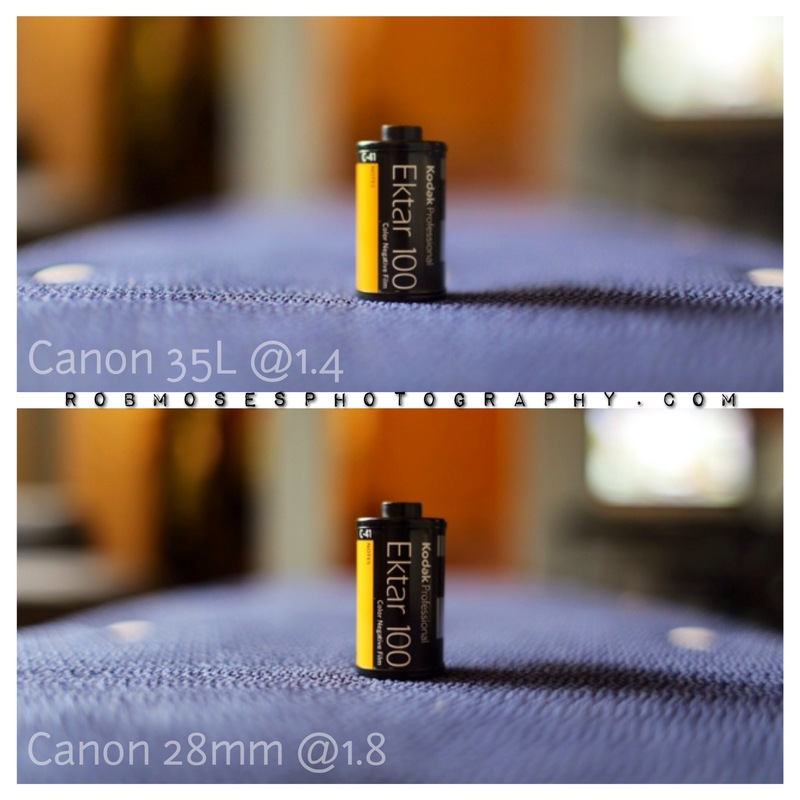 The 1.8 looks just a little bit sharper to me…..and my frugal eye. Well you would be right! When viewed at 100% the 28mm was surprisingly sharper with out a doubt :). The 28mm 1.8 comes across very well, just a little less depth of field with the 35mm/1.4 but with the price difference, the 1.8 looks good. I bought a Canon 50 mm/1.8 to go on holiday and loved its price, lightness and especially shooting portraits with it in the evenings-very inconspicuous and nice bokeh.